news Virtualisation giant VMware has unveiled a new platform for delivering secure digital workspaces for flexible working on any device. VMware Workspace ONE is aimed to address enterprise IT business mobility requirements and aggregates all devices, applications and services while securely managing them through unified common access and identity, the firm said. The digital workspace integrates device management, application delivery and identity management technologies. 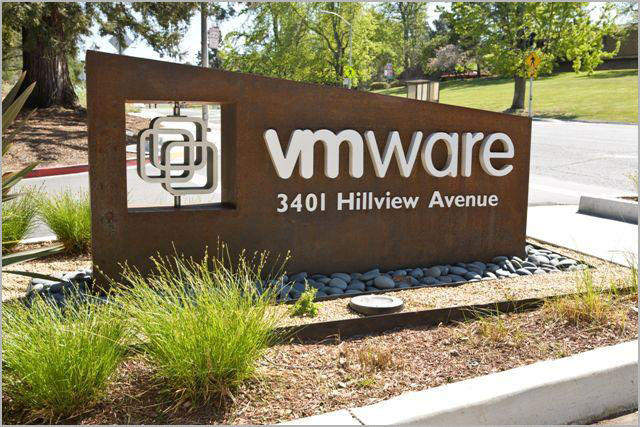 “These combined benefits, on a single mobile platform, will enable secure management and delivery of business critical resources to employees for corporate IT, and consumer simple access for end-users,” VMware said in a statement. The company cites a number of advantages of the platform, such as simple onboarding of new applications and employees with one-touch mobile single-sign on access, leveraging patent-pending Secure App Token Systems (SATS). Once authenticated, employees have instant access to a personalized enterprise application store where they can subscribe to most mobile, cloud or Windows applications. Furthermore, employees can use any mobile device running iOS, Android or Windows 10. Employees are put in control of their own devices and have the capability to choose the level of services and IT restrictions they are comfortable with. VMware Workspace ONE will include email, calendar, contacts, content and chat applications that are “consumer simple” while invisible security measures protect the organisation from data leaks. The platform also includes swipe and touch integrations with web applications such as Evernote, Gmail and Yahoo! Mail, among others, along with third-party SaaS applications such as Atlassian Jira, GitHub and Jenkins for developer operations teams to act and respond from anywhere. To protect sensitive information, Workspace ONE will combine identity and device management with ComplianceCheck Conditional Access to enforce access decisions across any application or device. “Overwhelmingly, 70 percent of ESG research respondents view effective mobility strategies as critical to core applications and business processes that can lead to a competitive advantage for their organization,” said Mark Bowker, Senior Analyst, Enterprise Mobility, ESG. “Digital workspaces delivered by VMware Workspace ONE enable businesses to empower employees with flexible workstyles, enhance employee productivity and embrace critical security needs as IT professionals transparently assemble and deliver a single digital workspace for an optimal end-user experience,” Bowker said. VMware expects Workspace ONE to be generally available this quarter. The solution will be offered in standard, advanced and enterprise editions with prices starting at US$8 per user per month for cloud subscriptions, and US$150 per user for on-premises perpetual licenses. So it appears that this is VMWare’s answer to Citrix’s Workspace Cloud. Interesting, although I’m not convinced their access infrastructure is as mature as they say it is. This space is about to get even more interesting than it already is.